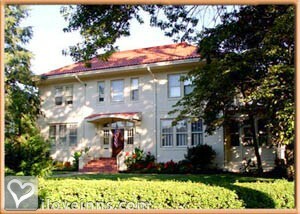 Lynchburg bed and breakfast travel guide for romantic, historic and adventure b&b's. Browse through the iLoveInns.com database of Lynchburg, Virginia bed and breakfasts and country inns to find detailed listings that include room rates, special deals and area activities. You can click on the 'check rates and availability' button to contact the innkeeper. Located on the banks of the James River, Lynchburg, Virginia has it all: 14 miles of hiking/biking trails, river tubing, canoeing & kayaking, year-round skiing, historic sites & museums, wineries, gourmet downtown dining, antiquing, the Blue Ridge Parkway, friendly people. By Carriage House Inn B&B. Located in Central Virginia, Lynchburg is minutes to several historic sites, wineries, the James River, hiking & biking trails, Snowflex, Smith Mountain Lake, Wintergreen, antiquing & more. Guests are continually amazed at how much there is to do & see in & around Lynchburg, how friendly & helpful everyone is, and how Lynchburg has remained such a hidden gem in the middle of Virginia. By Carriage House Inn B&B.